Athletics in Scotland has lost one of the legendary names of the past. 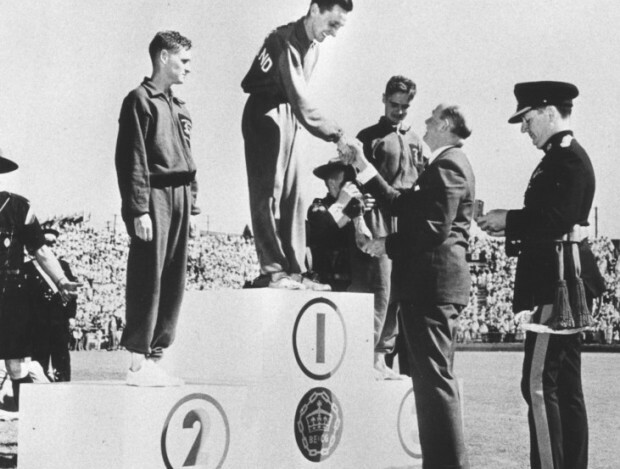 Joe McGhee, who won gold in the marathon at the 1954 Empire Games (the fore-runner to the Commonwealths) on Vancouver, passed away last Friday at the age of 85. 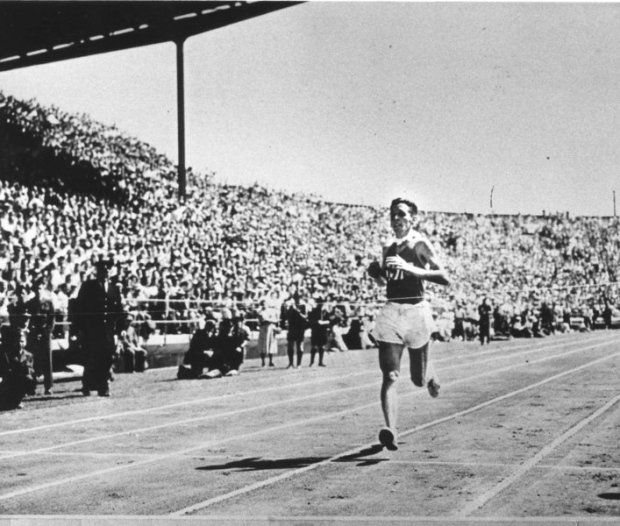 McGhee was most prominently a Shettleston Harriers and Glasgow University Hares and Hounds athlete in his prime in the late 1940s and early 1950s – and what a prime it was, with a remarkable feat of endurance in Canada one blisteringly hot day in 1954 undoubtedly the highlight. The Scot raced to the conditions when others did not – only six of the original 16 starters completed the 26.2 mile course – and he beat Englishman Jim Peters, who was world record holder in the event at the time. A second, much-fancied English competitor, Stan Cox, collided with a lamp-post and was unable to finish. The bronze medallist, a South African, had to be ferried to the podium for medal presentation in a wheelchair. But McGhee’s contribution to athletics in Scotland was about much more than one Empire Games moment, even though that is the one always associated with his name. He was a regular on the cross country and road running scene during that era and enjoyed club and individual success in that period. After a spell in the RAF, his working life was spent in education. Followed by a reception at the Braid Hills Hotel with his family. Joe’s family extend a welcome to any of his running peers or his friends and colleagues within the sport to attend; or indeed those who may wish to pay tribute to this Scottish hero. Joe, educated at St Modan’s High School in Stirling and hailing from the Falkirk area, started his athletics career with a small club – St Modan’s AAC. While with Shettleston and coached by Allan Scally, he won the Scottish Marathon Championship three years in a row – 1954, 1955 and 1956. This feat was only emulated in the 1990s by Fraser Clyne. In an autobiography, ‘The Forgotten Winner’, (which unfortunately was never published), Joe was unequivocal about the events of 7 August 1954. It is fair to say he remained aggrieved at the credit afforded Jim Peters, a DNF, rather than the man who climbed the podium to collect gold and then danced at the post-Games Closing Ball until 1am . . . and then got up at 6am the following morning. 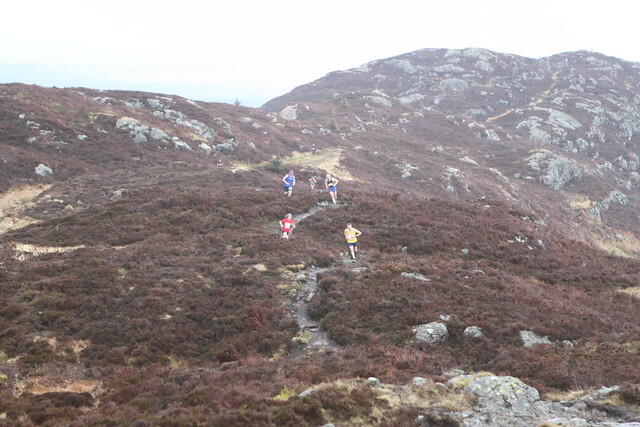 ‘It is not enough to point to the extremely hot conditions (86/30 degrees) and the hilly nature of the course – or even the possibility that the course was too long, despite assurances from officials to the contrary, as Jim averred,’ wrote McGhee. 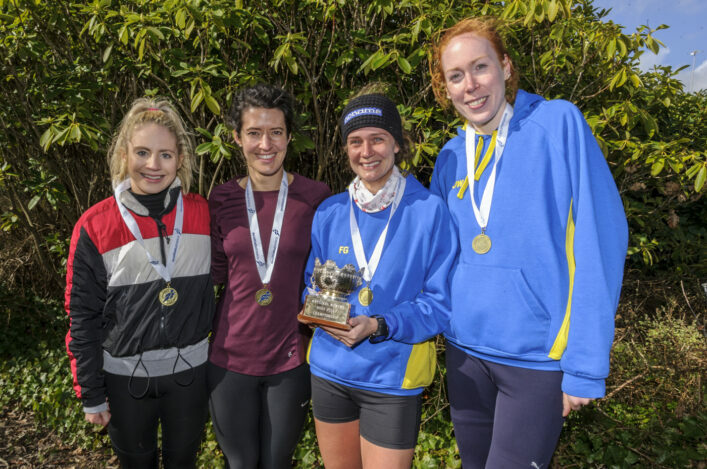 ‘After all, the conditions were the same for everyone and, when you race in the marathon, you are competing not only against other runners but the elements and the nature of the terrain as well and you have to adapt accordingly. ‘In recording 2.39.36 I personally ran more than half a minute slower than I was capable of. Peters obviously did not. A world record time was simply out of the question that day in Vancouver. ‘The whole point of the exercise, surely, was to win the medal and each of us was chosen by our respective countries to do that. I managed to do so; Jim did not. Joe is survived by his wife, Margaret, their five children and six grand-children. All at scottishathletics offer their deepest condolences to the McGhee family at this sad time.